Thank you for participating. Shares greatly appreciated! For those of you who’ve received an advance reader copy, and have read it, and have loved it…THANK YOU for posting your reviews just in time for the release day, and helping me promote my writing. For those of you who’re midst reading the series, wishing you are enjoying ALL THAT SUSPENSE. As many of you know, I had to take a brief break from writing because…well, life happened. Excited to announce I’m back to being an author again – YAY! 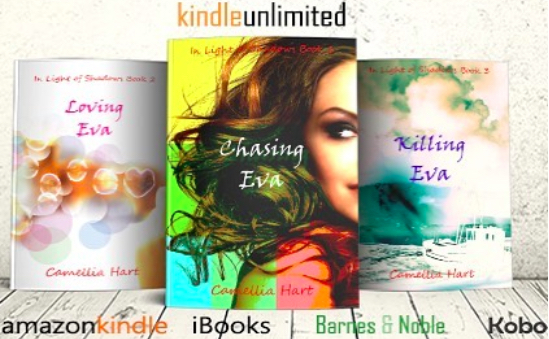 100 FREE e-book copies of CHASING EVA. Thank you YA Bound Book Tours for Chasing Eva Book Blitz! Who’d have thought I’d write? Oh what a journey it has been so far! 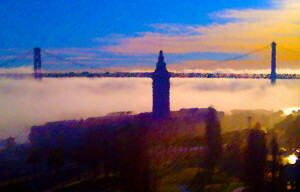 It all began one foggy Sunday morning in San Francisco. 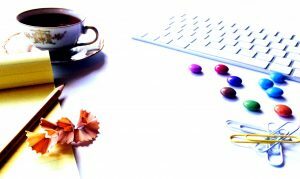 Seated by my desk at home, with the view of white sailboats floating by in the blue bay, I powered up my brand new laptop and started to type, simply to test it out. I typed for four hours straight. Never before that day did I imagine my true calling was to write romance novels, a laborious yet liberating task that I’ve come to enjoy so much. The realization amazes me even today. I’ve been writing ever since, and year and half later, with tremendous help from my editors, my friends, my family, and my darling husband, by this day next week, I would have successfully published my first book – Chasing Eva, book 1 of In Light of Shadows Series. There’s so much I like about this series – the suspense, the drama, the chase and the love between Clive and Eva. The scene I enjoyed writing the most is the one where Clive meets Eva at the beach side bar in St. Barth. They’re both vulnerable and are willing to reveal how difficult it has been for them to hold back their longing for each other, and Clive becomes totally swoon-worthy and turns her to a complete mush! I also like the scene where Eva’s mother stays up till late in the night. She’s worried for Eva and is waiting eagerly to hear from her. Though a simple scene, there’s so much care and affection in those few sentences, I absolutely loved portraying the mother daughter connection in my book. And I have several more such scenes and stories on their way to be written and read. Yay!! Here’s to wishing my incredible journey never ends, and that you’ll be riding with me all along. Hope you enjoy reading my books as much as I enjoy writing them.